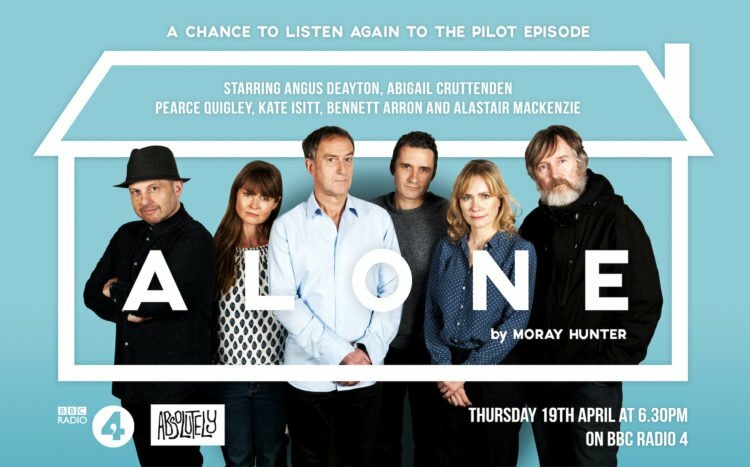 The first episode of Moray Hunter‘s new radio sitcom Alone is being repeated tonight on BBC Radio 4 at 6:40pm. Written and created by Moray, the show is produced by Absolutely and continues next Thursday. The show follows five single, middle aged neighbours (a widower (Angus Deayton), his divorced half-brother (Pearce Quigley), a schoolteacher (Abigail Cruttenden), an actress (Kate Isitt) and a socially anxious tech geek (Bennett Arron)) trying to get their lives together whilst living in the same building in North London.